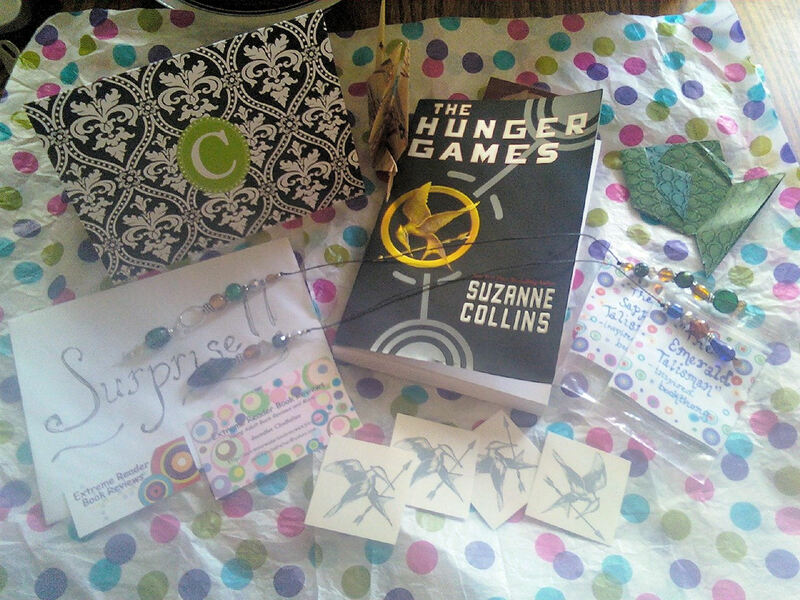 For my stop today, I am happy to visit Jen at Extreme Reader Book reviews who so kindly sent me this amazing care package this week (with 2 kinds of Book Thongs matching TET and TST). I never get to do IMM posts because I don't do reviews or get books from publishers (other than my own usually). This week, I scored. Not only did I get this amazing package with good luck presents and Hunger Games , but I also received Knight Angels by Abra Ebner, and Arson by Estevan Vega. So, for my tour, Jen hosted me and did an amazing post with a EXCLUSIVE excerpt from The Sapphire Talisman! Check it out! Thanks Jen for the fabu post!